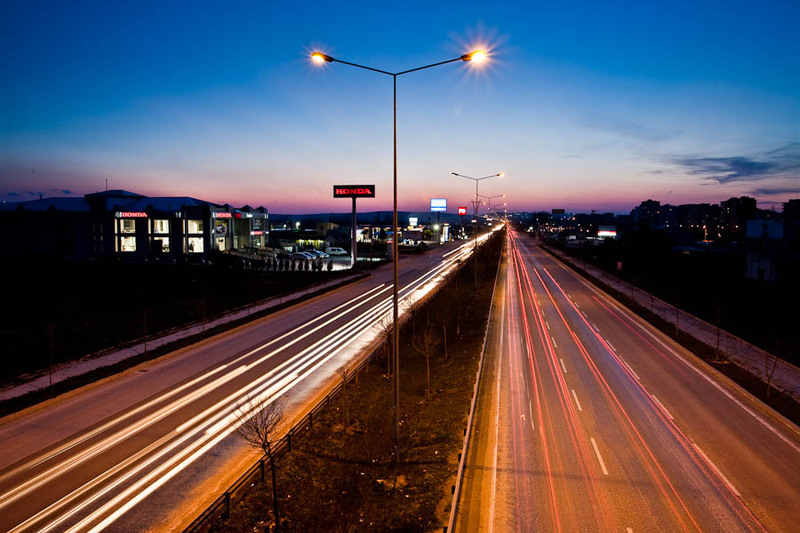 Izmir road at dusk in Bursa, Turkey. It was a nice sunset that day coming back from work. So I stopped and went on a pedestrian bridge with tripod, camera and I waited for some traffic on this long avenue.